paper size: 23 x 26 in. image size: 21 x 22 in. 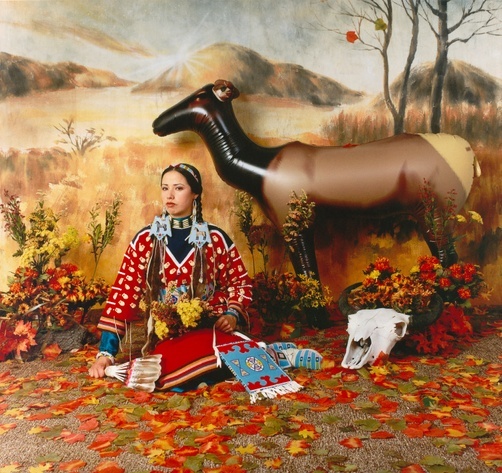 Colorful and satirical, Wendy Red Star’s Four Seasons challenges white American portrayals of Native people as exoticized, primitive, or “one with nature”—characterizations often seen in natural history museum dioramas. 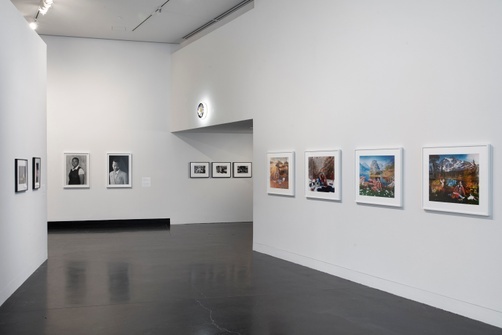 The artist positions herself as the sole figure in each photograph, juxtaposing her authentic cultural identity against the intentionally artificial setting surrounding her. 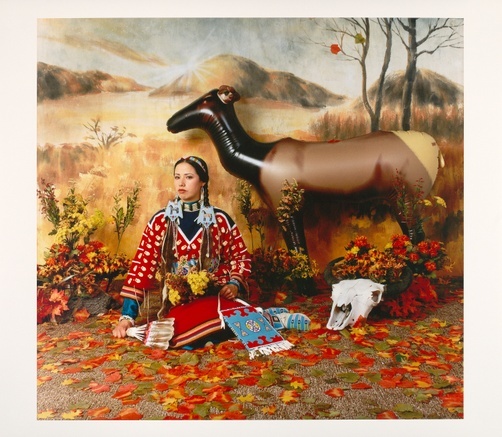 Red Star wears a brightly colored elk-tooth dress, representative of her Apsáalooke (Crow) heritage. Hunters can harvest only two eye-teeth from a single elk. The artist’s dress, with many teeth, highlights the hunting skills of brothers, husbands, and fathers, suggesting familial wealth and power.